In recent years, cannabidiol (CBD) oil has become a widely favored remedy for anxiety. While some individuals take CBD oil to soothe their everyday worries, others use it to treat more serious conditions like generalized anxiety disorder. A compound found in the marijuana plant, cannabidiol has increased in availability as marijuana use is legalized in more and more states across the country. A growing number of companies have begun selling supplements, salves, and other products made with CBD oil, typically touting these items as natural remedies for issues like anxiety and pain. Unlike tetrahydrocannabinol (or THC, another compound found in marijuana), cannabidiol doesn’t produce a “high” when consumed. However, use of CBD oil isn’t legal in every state. Due to the legally murky nature of marijuana, state laws tend to vary widely when it comes to cannabis products of any kind. Therefore, it’s important to find out if the use of CBD oil is legal in your state before using this product. The most common mental illness in the U.S., anxiety disorders affect more than 18 percent of the population each year, according to the Anxiety and Depression Association of America. Due to a lack of research, scientists aren’t sure how CBD oil might help treat issues like anxiety. Some research suggests that in addition to impacting the endocannabinoid system, cannabidiol may influence receptors involved in the modulation of serotonin (a chemical messenger thought to play a role in anxiety regulation). While there’s currently a lack of large-scale clinical trials testing the use of CBD oil in the treatment of anxiety, a small study published in Neuropsychopharmacology in 2011 determined that CBD may help alleviate social anxiety. The anxiety-reducing effect of CBD may follow a bell-shaped dose-response curve, suggests a study published in Frontiers in Pharmacology. After administering different dosages of CBD before a public speaking test, researchers found that subjective anxiety measures were lowered with the 300 mg CBD dose, but not with the 100 or 900 mg CBD dosages. Another study, published in the Journal of Psychopharmacology in 2018, tested the effects of cannabidiol in people with high paranoid traits and found that cannabidiol had no impact on anxiety, cortisol levels, heart rate, systolic blood pressure (the top number in a blood pressure reading), and persecutory ideation. Cannabidiol has been found to slightly increase heart rate at a dose of 900 mg. In addition, there’s some evidence that the use of CBD oil may lead to increased levels of liver enzymes (a marker of liver damage). CBD oil may also interact with several medications, including benzodiazepines, calcium channel blockers, antihistamines, and some types of anti-epileptic drugs. If you are on any of these types of medications, consult your doctor before using CBD oil. 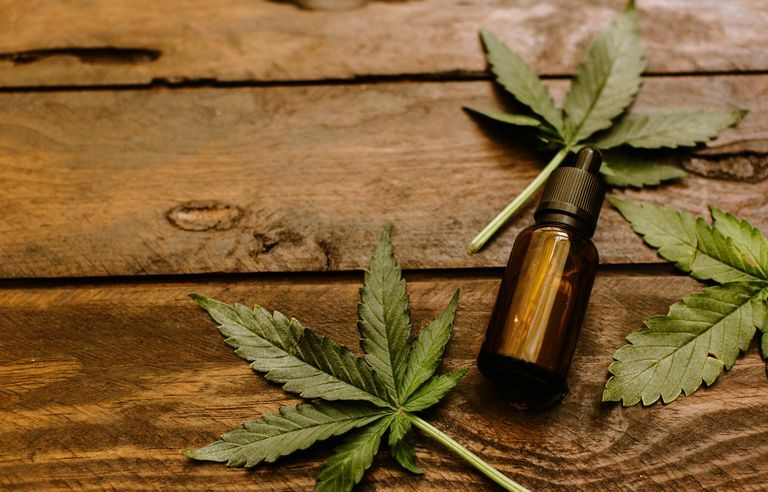 A research review found that in the treatment of certain types of refractory epilepsy, participants used lower dosages when using a CBD-rich extract compared to purified CBD products, and found adverse effects were less frequent in those using CBD-rich extracts. If you’re experiencing symptoms like frequent restlessness, difficulty concentrating, irritability, muscle tension, fatigue, lack of control over feelings of worry, and sleep problems, talk to your doctor as soon as possible. By working with a mental-health professional, you can find the anxiety treatment plan that’s right for you. Bergamaschi MM, Queiroz RH, Chagas MH, et al. Cannabidiol reduces the anxiety induced by simulated public speaking in treatment-naïve social phobia patients. Neuropsychopharmacology. 2011 May;36(6):1219-26. DOI: 10.1038/npp.2011.6. Blessing EM, Steenkamp MM, Manzanares J, Marmar CR. Cannabidiol as a Potential Treatment for Anxiety Disorders. Neurotherapeutics. 2015 Oct;12(4):825-36. DOI: 10.1007%2Fs13311-015-0387-1. Bonn-Miller MO, Loflin MJE, Thomas BF, Marcu JP, Hyke T, Vandrey R. Labeling Accuracy of Cannabidiol Extracts Sold Online. JAMA. 2017;318(17):1708–1709. DOI: 10.1001/jama.2017.11909. Hundal H, Lister R, Evans N, et al. The effects of cannabidiol on persecutory ideation and anxiety in a high trait paranoid group. J Psychopharmacol. 2018 Mar;32(3):276-282. DOI: 10.1177/0269881117737400. Arndt DL, de Wit H. Cannabidiol Does Not Dampen Responses to Emotional Stimuli in Healthy Adults. Cannabis Cannabinoid Res. 2017 Jun 1;2(1):105-113. DOI: 10.1089/can.2017.0014.